The truss is a building invention that allows the weight of a roof to be distributed to the outer walls for better support. Essentially, a truss is triangular in shape, or composed of multiple triangles. This shape gives the building more support and allows the builder to use fewer materials to achieve the same function. Even a flat truss is comprised of small triangles. 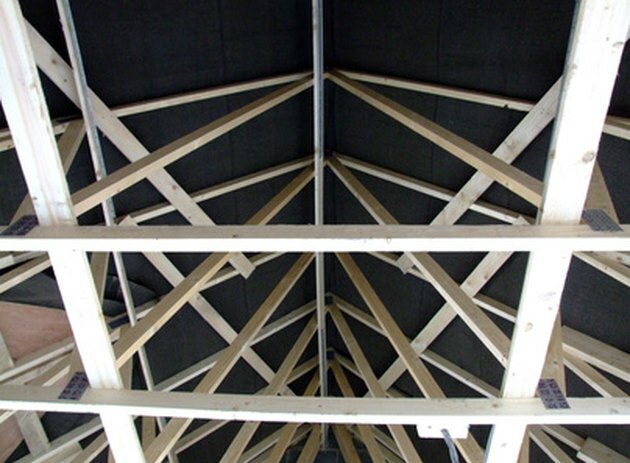 Trusses are typically built as a set for a particular building. 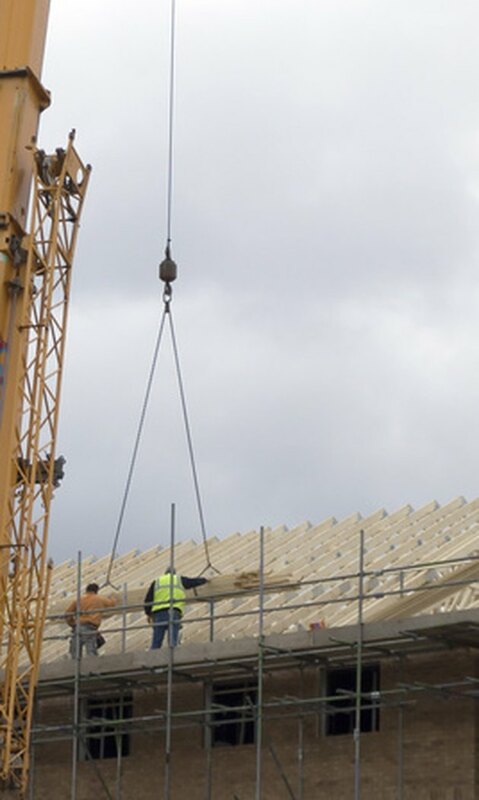 The primary advantage of a truss is that it can be installed quickly and cost-effectively, even without heavy equipment to lift it into place. 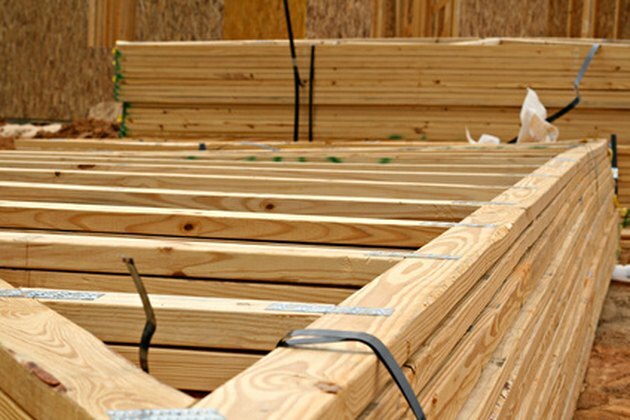 Most trusses are factory-built, and delivered to the job site as a complete set for the structure to be built. A truss is traditionally leveraged to the top of the wall, and then slid into position and pivoted upright before being fastened in place. Trusses are vital large arenas or stadiums. The unique properties of a triangular object allow trusses to span across longer distances. Where a square-sided roof would tend to shift or twist, a triangular one maintains its shape, preventing shift and sag. 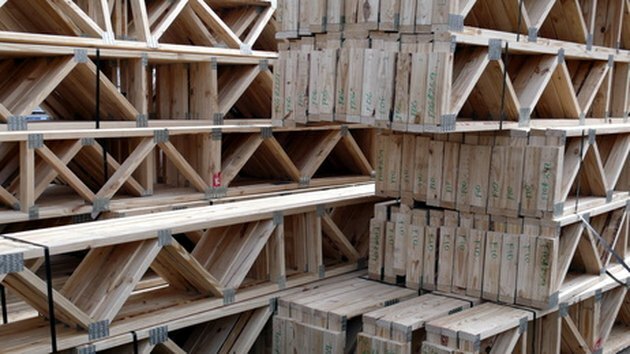 As a further advantage, the entire set of trusses combined becomes stable and able to support many times the weight of a non-reinforced straight roof. 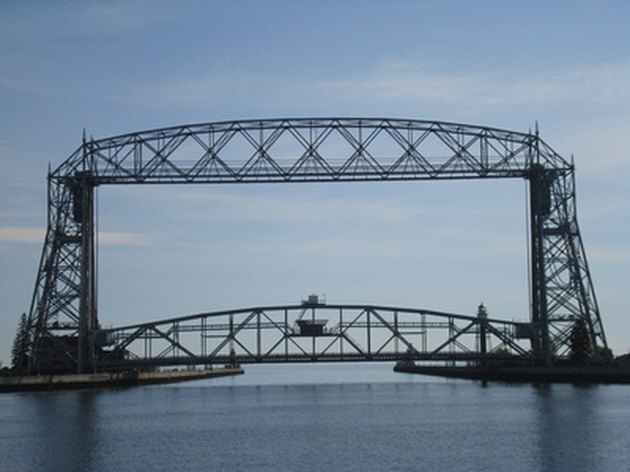 Many bridges employ truss designs for added support. The shape of a triangle allows all of the weight applied to the sides (or legs) to be redistributed down and away from the center. In trusses, this transfers the entire weight of the roof to the outer walls, and has the advantage of allowing the interior walls to be built arbitrarily, or even moved or omitted. A trussed roof has ample room for running utilities through the structure. Since the bottom rail of a truss is typically the ceiling of the rooms below, the triangular spaces of the trusses themselves form accessible paths for the installation of HVAC, electric and other utility applications. The central void of a truss system is generally the attic of a home, with the slope of the roof forming the legs of the triangle.